Going through the hoops | Write-now! 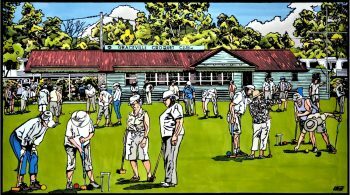 The Graceville Croquet Club’s cute-as-a-button clubhouse, erstwhile known as the pavilion, is on Appel Street in the Graceville Memorial Park. The club is one of eight in the Brisbane City Council’s area. Why not consider giving the game a go? Read more here. Dear Susan, You have done a great job. I am so impressed, especially with the links.